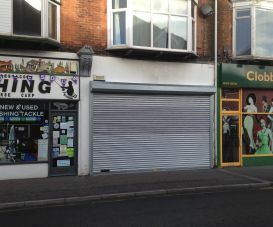 Bournemouth Borough Council: Pure Town Planning have recently secured planning permission for a roller shutter on a commercial premises near Pokesdown Station in Bournemouth. Following a number of attempted and actual burglaries on their antiques shop, the owners had to act quickly and put up an external roller shutter to protect their valuable stock without realising that it required planning permission. They were subsequently served with an Enforcement Notice by Bournemouth Borough Council requiring them to take it down within a month. Just before the month was up… the owners of the premises contacted Pure Town Planning seeking desperate assistance. Pure Town Planning persuaded the Enforcement team at the Council to hold off taking any action until a retrospective planning application had been made to give our clients an opportunity to try and secure planning permission for the existing unauthorised shutter. 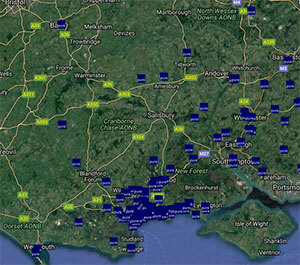 Pure Town Planning compiled a comprehensive application (including preparing the plans!) detailing the history and need for the shutter as well as suggesting some design tweaks which may make the shutter more palatable to the Council. After some strong negotiation with the Council’s planning officer who at first was intending on refusing the application, we managed to get the planning officer on side and planning permission for the existing shutter (with a few minor tweaks) was granted. If you have recently found yourself in a similar situation and put up something (doesn’t have to be a roller shutter) without realising that it needs planning permission and you have the Council’s Enforcement Team on your back… then why not give us a call and find out how our honest and realistic advice can help you out get out of trouble.